As much as us foodies all love to experiment and try new things and cook things we’ve never made before, sometimes there is nothing better than making a simple home cooked classic really well. 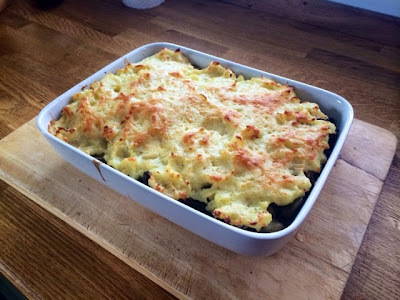 I am aware that a cottage pie may not exactly be the most summery of dinners, but when the rain and thunderstorms kick in a little bit of comfort food home cooking is in order. 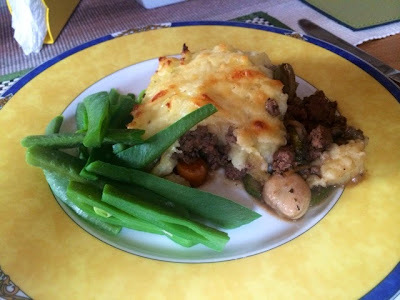 In case you’re reading this and wondering what exactly the difference is between a Shepherd’s Pie and a Cottage Pie, the distinction is simple: Shepherd’s Pie is made with lamb and Cottage Pie with beef. 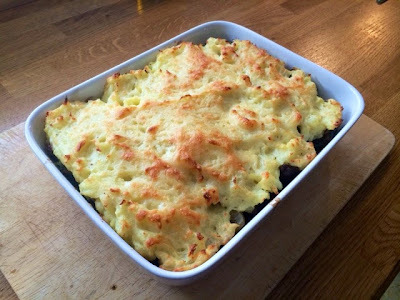 That’s the only thing about this recipe that makes it any different from a Shepherd’s Pie so if you’d prefer lamb just swap it and do everything else exactly the same. This is the sort of dinner that everyone makes their own versions of, so apologies if you don’t have carrots in yours or you’d normally use peas and think that this recipe is incorrect, but my attitude towards this dish is that it’s the sort of thing I shove as many vegetables in as possible depending on the contents of the fridge and what needs using up. 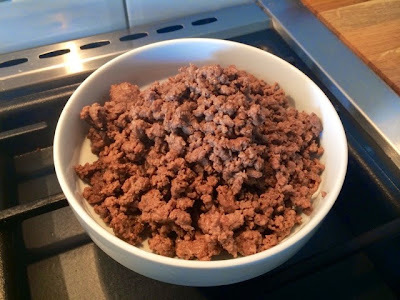 This has been the practice of mothers and grandmothers across Britain for decades, nay, centuries, as they avoid wasting vegetables that are past their best and try to sneakily get as many as possible into their children without them realising my mixing them among the meat. 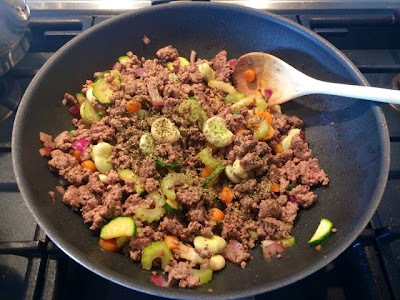 I put loads of veg into the meat mixture and normally keep one aside, such as broccoli, cauliflower or beans, to be dished up alongside. Peas would ordinarily be thrown into the mix as there’s always a bag in the freezer but I gave them a miss this time as we had some broad beans freshly picked from the garden which I made use of instead. 2. 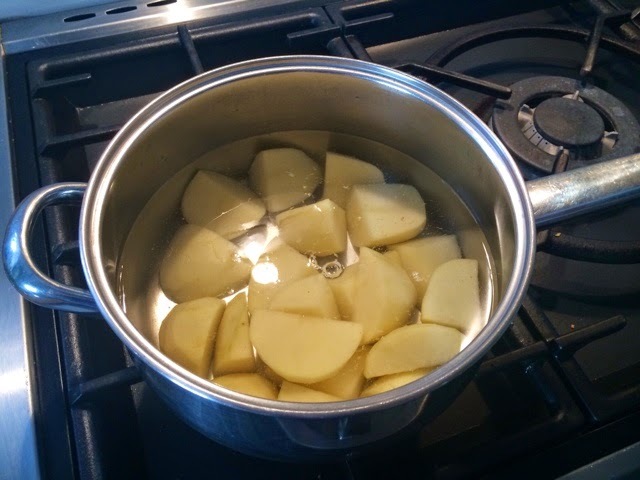 Boil potatoes for 10-15 mins or until soft. 3. 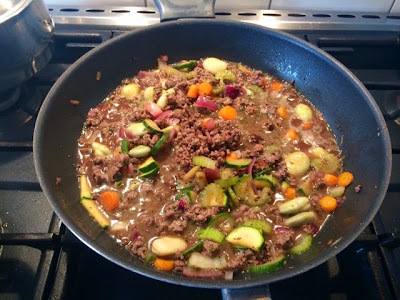 Heat a little oil in a large pan and cook the mince until brown. Remove from the pan with a slotted spoon and set aside. 4. 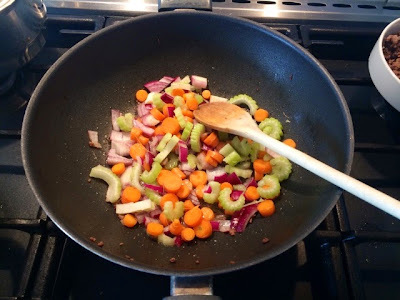 In the fat from the meat gently sauté the celery, carrot and onion on a medium-high heat until softened. 5. 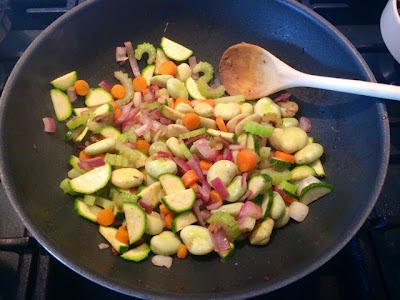 Add the broad beans and courgette and continue to sauté until all veg is cooked. 6. 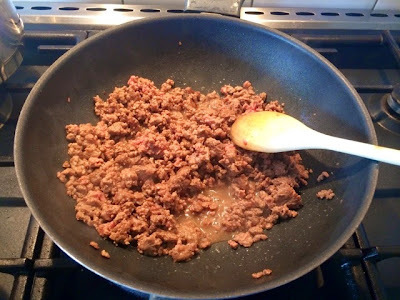 Return the mince to the pan, season generously with salt and pepper and add the oregano. Mix through. 7. Add the red wine and allow to cook off for a few minutes. 8. Pour in the stock, and bring to the boil. As soon as it’s boiling reduce to a simmer, cover the pan with a lid and leave to thicken and reduce a little. 9. By now your potatoes should be cooked. Drain then add the milk and butter. 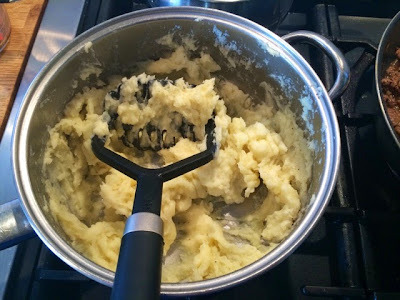 Mash until smooth and season with salt and pepper. 10. 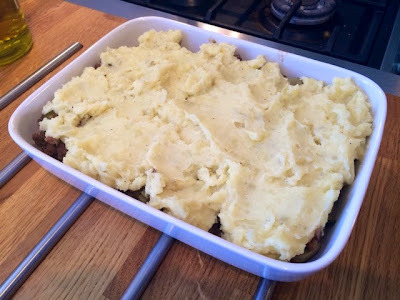 When the juices in the meat mixture have thickened and reduced slightly pour them into an oven proof dish and evenly spread the mashed potato across the top. Sprinkle the cheese over the top and bake in the oven for 25 minutes or until just beginning to go golden on top. 11. Move from the oven to place under the grill for a remaining 5 minutes to make the top go really nice and crunchy and golden. 12. Dish up to a hungry family with green veg on the side.